The Administrative Procedures Act, Arkansas Code Annotated ACA 25-15-201 et. seq., requires state agencies, boards and commissions to file with the Secretary of State a copy of each rule adopted by the filing group. ACA 25-15-218 requires the Secretary of State to publish all agency rule notices, emergency rules, adopted rules, and proposed rules on the Secretary of State website. 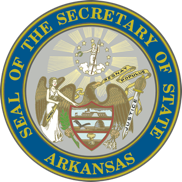 For more information on State Agencies, including agency rules and contact information, please use the Arkansas.gov link. Bulk Data Download is now available as a premium service. Use and/or operators in your searches (ex. taxes and taxation). Use the minus sign (-) in your searches to exclude a term or phrase (ex. taxes -lottery).